Alex Oxlade-Chamberlain is looking to return to action for Liverpool as quickly as possible as he is making good progress in his recovery from a serious knee injury. The 25-year-old midfielder suffered ligament damage during the Reds' 5-2 Champions League semi-final first leg win against Roma at Anfield in April and has not featured since. I'm trying to stay positive, that's the sort of character I am. I feel that's the best way to move things forward. I'm in good spirits and I'm progressing for sure. 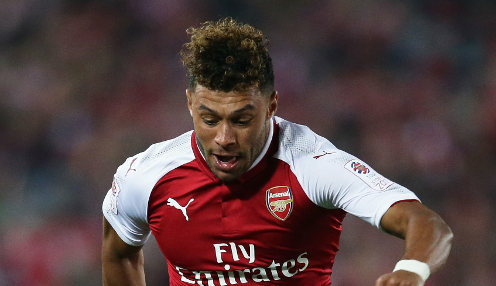 In addition to missing May's Champions League final and facing the entire 2018-19 season on the sidelines, Oxlade-Chamberlain also suffered the crushing disappointment of being absent from England's run to the semi-finals of the World Cup in Russia this past summer. However, the former Arsenal man is feeling positive at the way his rehabilitation is going and, while he is not giving any targets for his return, it is a big boost for Jurgen Klopp's Reds' squad. "It is a very serious injury," Oxlade-Chamberlain told Sky Sports News. "It can happen to any of us at any time and that's obviously something that's never easy to deal with and get over. "I'm trying to stay positive, that's the sort of character I am. I feel that's the best way to move things forward. I'm in good spirits and I'm progressing for sure." Liverpool have enjoyed a great start to the new season in his absence with a 100 per cent record from their opening four matches and they are 11/8 to go on and win the Premier League. The Reds are also 5/2 to go one better than last term and win the Champions League.